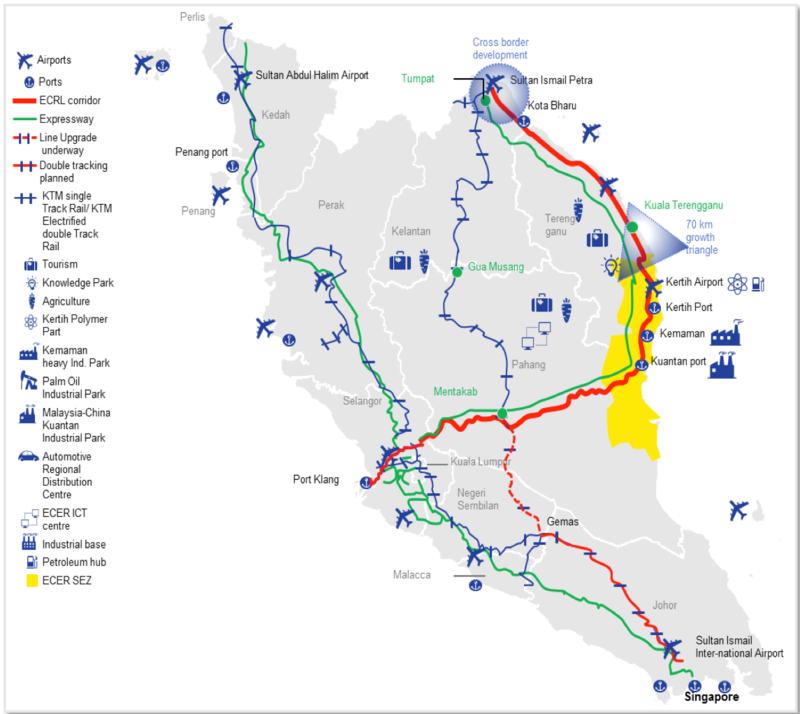 Jan 28: My view on the ECRL project? Simple: if the Government of the day decides not to carry on with the ECRL (or any project, mega or otherwise, that was brought in by the previous government, for that matter), go ahead and cancel or defer or downsize it as the Government of the day sees fit. But the flip-flopping, the U-turning, the ding-donging gotta stop. It's not helping the Government's image. Not helping us Rakyat, either, if the economy and confidence are hurt by "mistakes" made by the Ministers. Show us that you can go beyond the black shoes for school kids. smoking ban at open-air restaurants, curfew for teens policies and strategies, and no-brainers like those. Don't let some of us have too-easy a field day. Read RPK'as Dithering over ECRL decision due to fear of Beijing Pushback, says report. Yeah! Flippety flop. flippety flop, flippety flop, like a pair of broken slippers. Anyway, check out my blog post on the matter. "THE ECRL WILL BE OFFICIALLY SCRAPPED - LONG LIVE THE ECRL!" 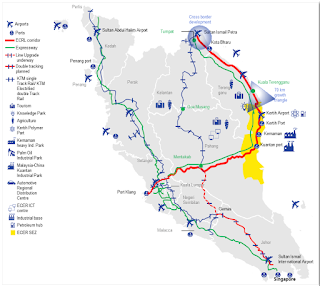 Some people I have the misfortune to have to endure teh tarik with keep on speaking contemptuously about "how many people will want to travel to the East Coast on the ECRL but that map you have with your article shows that the ECRL runs from Port Klang to Kuantan and them up through major East Coast cities and towns to Tumpat, with branch lines to respective East Coast ports. On the other hand, the existing KTM line runs mostly inland until it reaches the coast at Tumpat. Chinese and Malay chambers of commerce on the East Coast have hailed the ECRL as bring development and more business opportunities to the East Coast, whilst these teh tarik politicians speak ignorantly, without knowing that railways have brought development to areas or countries such as the United States and many other countries. Thus I am sure that the ECRL, which will also carry cargo, will help facilitate development on the East Coast and perhaps also open up the minds of people there.